If there is a holy grail to beauty, it has to be the Tria Age-Defying Eye Wrinkle Correcting Laser. I can’t tell you how excited I was to receive this high-tech beauty device. 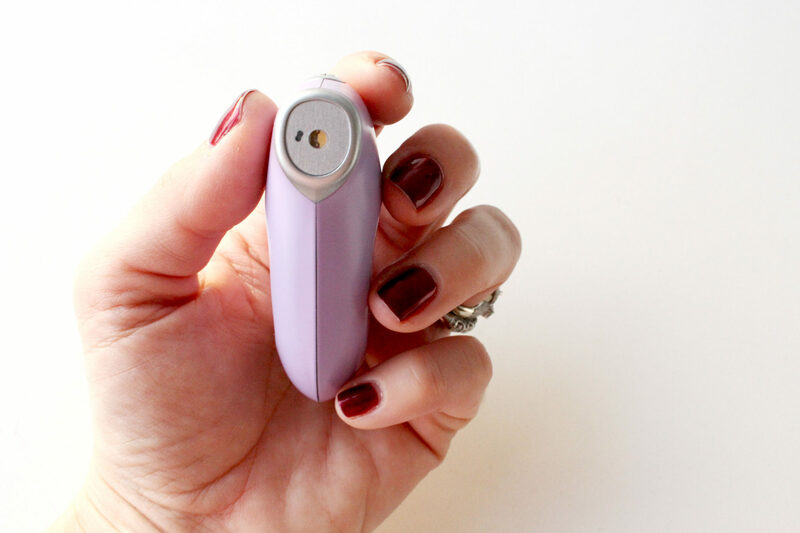 I have been using this laser for over three months now, and I am completely in love with it’s fine line and wrinkle-zapping powers. I wasn’t sure what to expect from this TRIA-Age Defying Eye Wrinkle Correcting Laser which is FDA approved at-home laser. The very first night that I used it, I was blown away by the intensity of this laser. I didn’t think that an at-home device would be this powerful and effective. The next morning I was a little red and puffy around my eye area but was thrilled to try it again that night. I felt like I had tapped into the fountain of youth and my crows feet would soon be a distant memory. 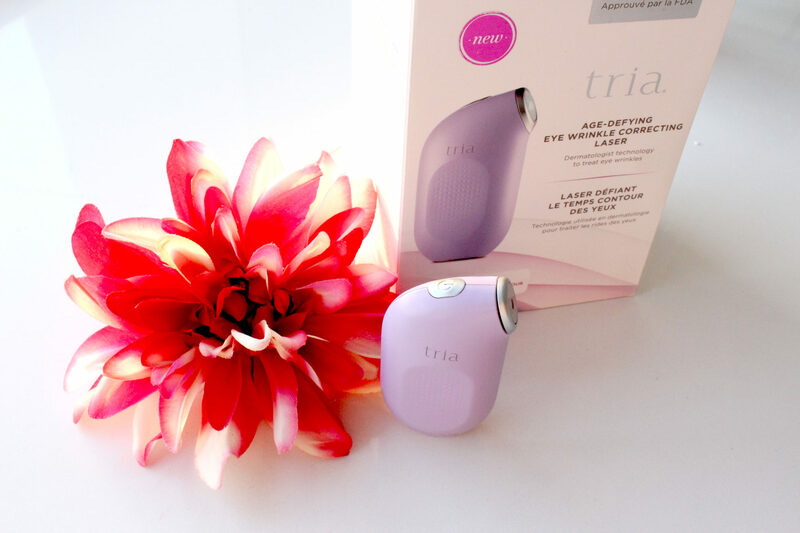 The Tria Age-Defying Eye Wrinkle Correcting Laser is extremely simple to use. It’s a tiny, lightweight hand-held device that fits in the palm of your hand. It uses laser light to treat the wrinkles around your eyes due to sun damage or aging. You will see professional anti-aging results with short, simple daily treatments for eight weeks in the comfort of your home. I love that I can do this treatment at night in my bathroom, and I never have to make an appointment. As we all know youthful skin is rich in collagen, which is what gives the skin lift and support. Collagen beneath the surface works like columns of tissue that support the surface of the skin. Over time, the body produces less collagen, and exposure to sunlight slows the development of new collagen. TRIA-Age Defying Eye Wrinkle Correcting Laser therapy is the same technology dermatologists have been using for years. You will start to see visible results in just a few weeks with consistent use. 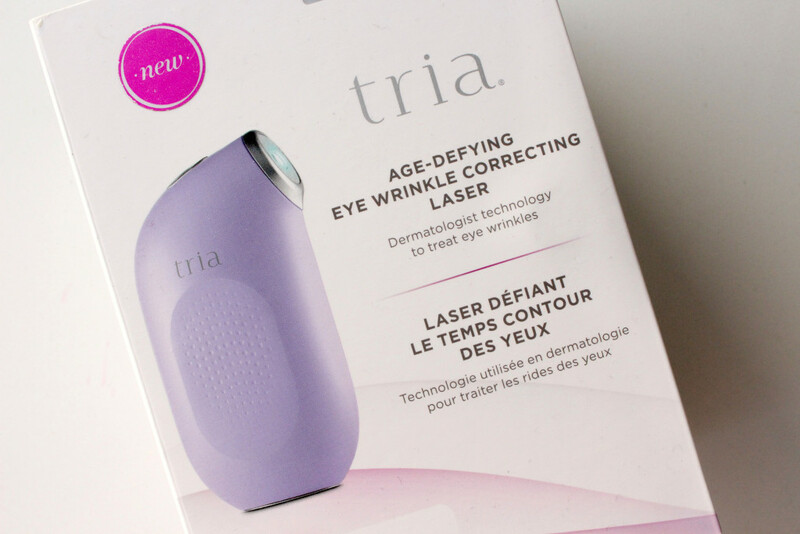 I am normally not that impressed by “Techie” beauty products, but the TRIA-Age Defying Eye Wrinkle Correcting Laser is an exception. I saw results in the very first week, and it’s only a two-minute commitment each night. After the treatment, I would apply a nourishing eye renewal cream that was formulated with hyaluronic acid to help hydrate and repair my delicate eye area. I wake up to refreshed, toned beautiful skin each morning. *Claims based on follow-up clinical study data at four weeks or twelve weeks post treatment. It’s safe to say I am obsessed with this anti-aging device. It’s perfect for travel and it is designed to last for three years or more. Oh, It seems great product, Maybe i will try to use it for my skin. Hope it’s good. My mother often moans about the wrinkles around her eyes, and it is amazing when I find out this post. However, the product is quite new for me. So I have a question whether this product has any bad effect on her eyesight or not? The Tria Laser for the lines around the eye will not damage eyesight. Please read the directions when you purchase this device.